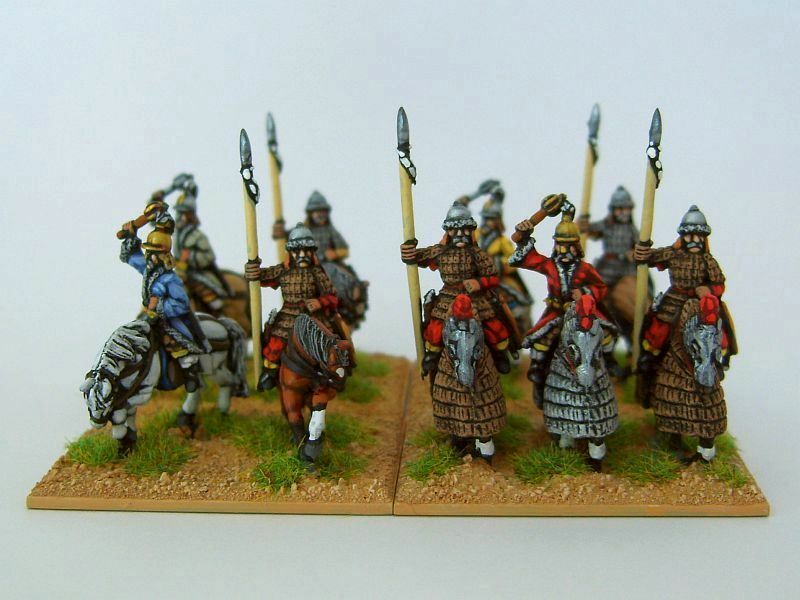 I’ve just time to post a couple of shots of my newly completed set of generals for my Mongol Conquest army. This finishes of my mini project to update all the command elements. The figures are all Essex as are the unarmoured horses. 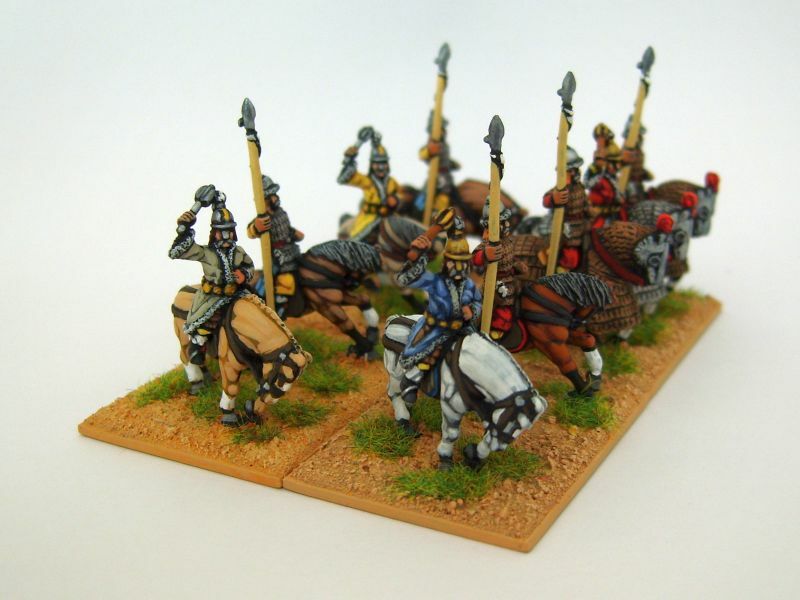 The armoured horses are from Donnington and fit far better on the bases. There were no problems at all fitting the Essex riders to the Donnington horses. As you can tell I had a few problems with the colour balance but this time I know what the solution is: buy a new daylight bulb to replace the one I broke right in the middle of taking these photos. I've just been looking at your website/blog and was impressed by your 15mm Mongol Command bases. Could I be cheeky and ask what techniques and materials you used to get the desert/scrub type of effect. I've got a 15mm Spartan army to base and have been experimenting for a while to find a suitable style to show them off on and this looks just the ticket. Thanks for the kind words. I've just posted a brief description of the basing technique I used at http://vexillia.blogspot.com/2008/09/15-mm-basing-technique.html and I hope that helps.